With the approach of Halloween, Samhain (FYI pronounced SOW-in), All Saints’ Day, Dia de los Muertos (Day of the Dead), and so on with the end of the year/death/harvest cyclic and symbolic motif humanity has struggled with since we crawled down from the trees, my mind turns to legends and stories of the supernatural. 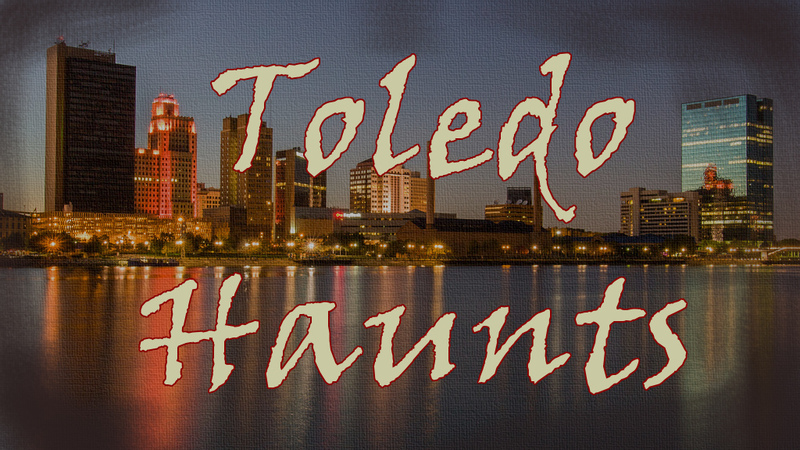 This year I wanted to take a closer look at the ghost stories around – Toledo, Ohio. My, some would say obsession, with the concept of infinity necessitates that I emphasize that I am neither debunking nor substantiating these legends and stories. I will approach them with the all but forgotten art of unbiased journalism. 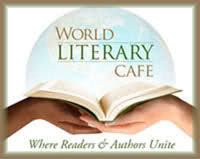 I will give you some of the who, what, when, and where if applicable, but the why is yours to invent and decide upon. True to modern journalistic form though, I will also omit much of the substantial history behind these locations (it would only bore most readers and ruin the fun of the season in some cases). Believer or non-believer, the following are buildings and cemeteries steeped in histories that are worth knowing about. Plus, if you’re nearby stop and take a picture or two as we did. You never know what, or who, may appear in the photo. 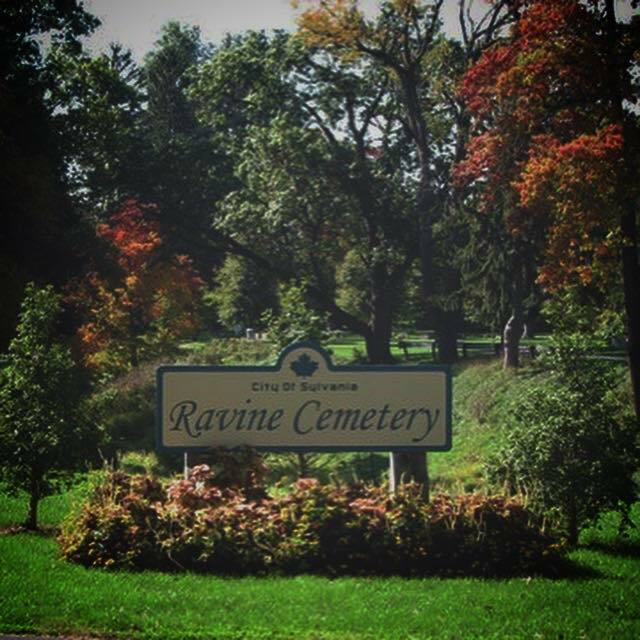 Ravine Cemetery is located on Ravine Road, between Harroun Road and Main Street, in Sylvania, Ohio. The burying-grounds were established in 1883, and are still active. Sections of Ravine Cemetery also boarder St. Joseph’s Catholic Cemetery. The grounds are supposedly haunted by a woman with long, dark hair who typically wears a white dress. The reason for her presence is that she’d had three husbands and she died at a young enough age that her parents were forced to bury her. They did not know which husband to bury her alongside so her spirit wanders the acreage looking for the correct one. 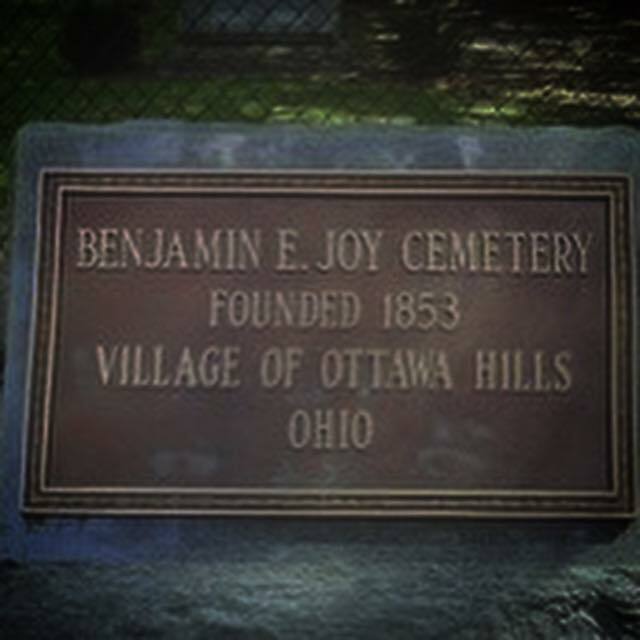 Benjamin Joy Cemetery (sometimes shortened to Joy Cemetery) on Brittany road in Ottawa Hills, OH. It was founded in 1853 and is still used by the parishioners of the adjacent St. Michael’s Church. There is said to be a one-legged sailor, a lake boat captain to be specific, that wanders the grounds looking for his missing leg. There are contradictory stories as to whether he is looking for his peg leg, or the missing real one. 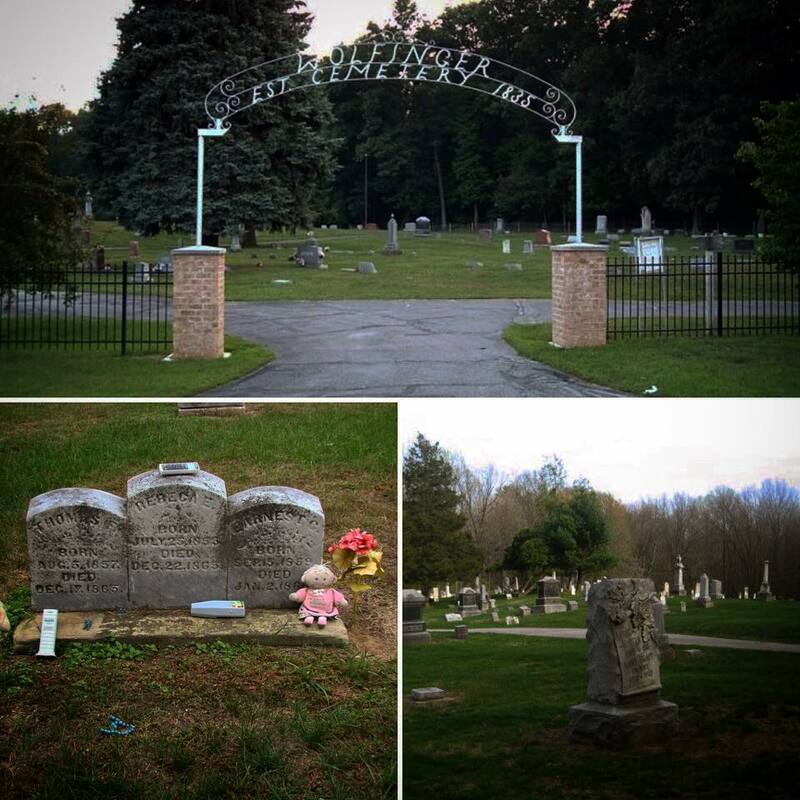 Wolfinger Cemetery on Wolfinger Road within Secor Park, between US-20 (Central Avenue) and Bancroft Street was established in 1835, and it is still active. There are graves for two parents and their three children along the cemetery’s wood line, etched in marble that they all died within days of each other. 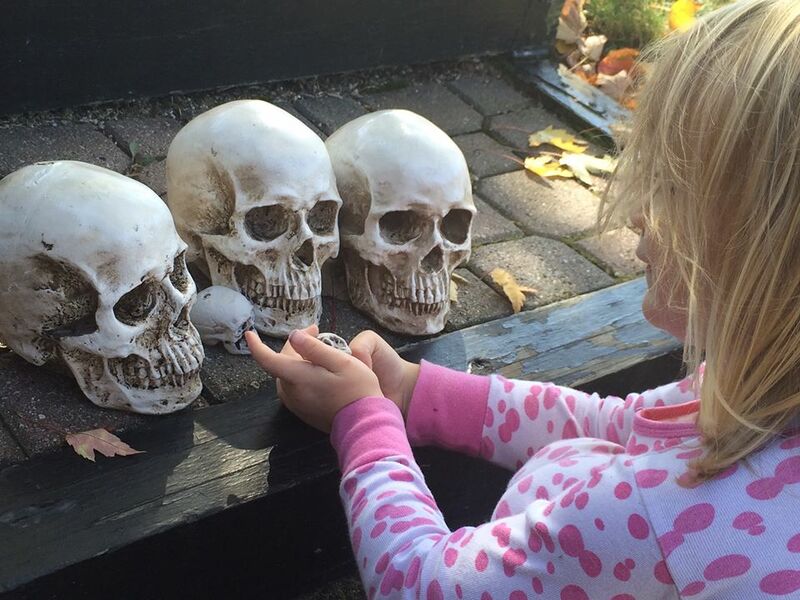 Over the years several ghostly children have been seen playing around the graves as well as the sounds of phantom giggling and cold spots around the grave sites. Gibb’s Road Bridge is located in Richfield Township between Sylvania and Berkey. 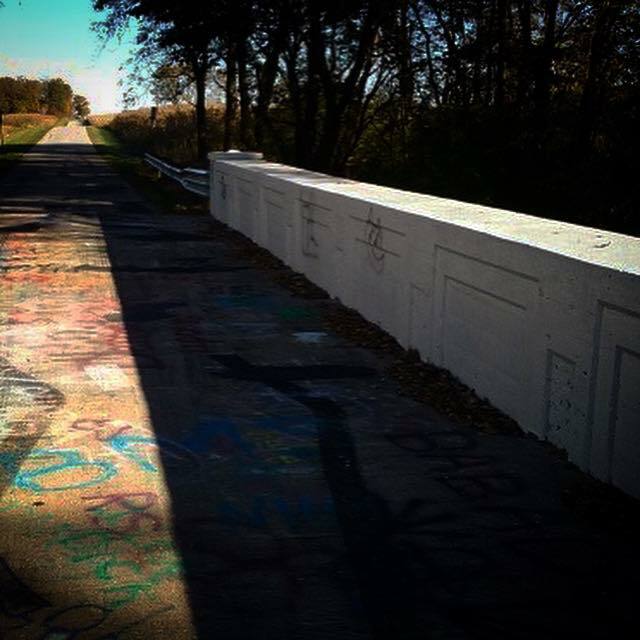 Stories say the bridge is haunted by the victims of a deadly auto accident that occurred on, or nearby, the bridge. The phantom sounds of a collision and high-pitched laughter that could almost be a scream are said to be heard at night. People have also reported being chased off the bridge after dark by ghostly shadows and shapes. 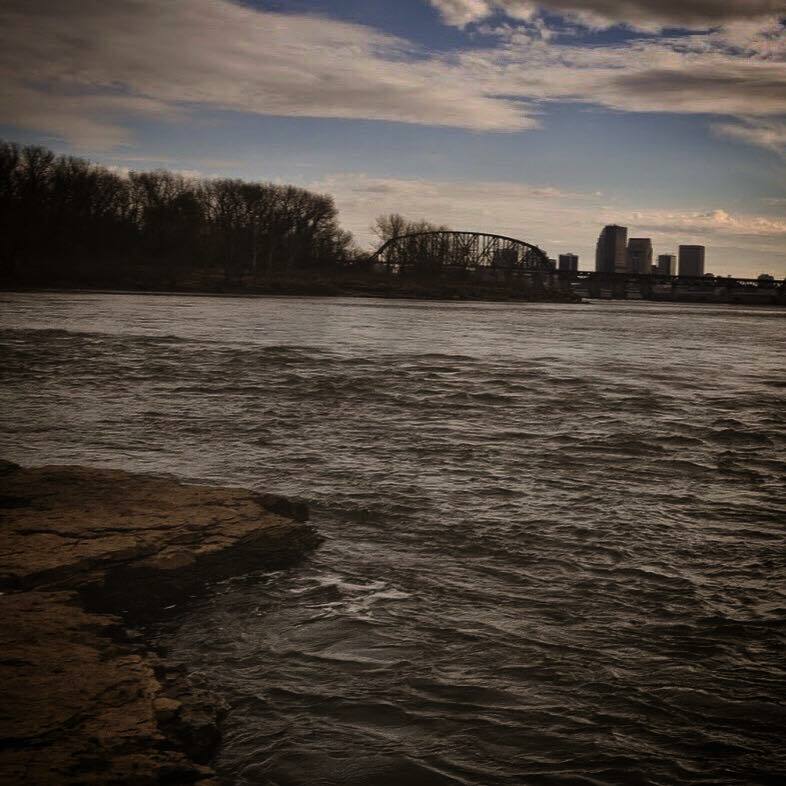 The rocky shores of Point Place and Bay View are reportedly haunted by the ghost of a woman who is searching for her lot love. She typically appears at dusk in a long white gown and bare feet, stumbling along the rocks weeping and waiting for her beloved to return; of which is said that he was a sailor whom departed but never returned. The Nazareth Hall on W River road in Grand Rapids, OH was built in 1927 as a Catholic boarding school for boys. Throughout its history mysterious noises have been heard and strange shadows seen. A haunting figure in the shape of a nun is said to float down the halls moaning and groaning at night. The bathrooms are also said to be haunted as faucets have turned on by themselves and odd noises occur without explanation. The hall is now open for banquets, wedding, and parties. 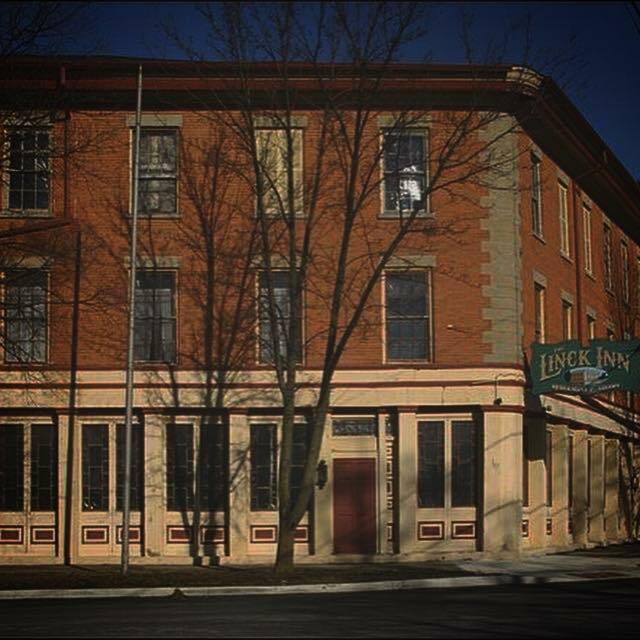 The Chadwick (Now Linck) Inn of Maumee, OH was built in 1837 as an inn slash general store, post office, and feed store. In the 1930’s, it was converted to a brothel. Recently renovated it is said to be haunted by the ghost of a woman who can be seen hanging from the rafters with a noose around her neck. Another ghostly female is known as the Lilac Lady because she walks around the restaurant spreading the smell of fresh lilacs. There is an additional ghost that supposedly smells like body odor and sweaty horse. The inn is also said to be haunted by the original builder Levi Barbee, who loves to drink Jack Daniels. 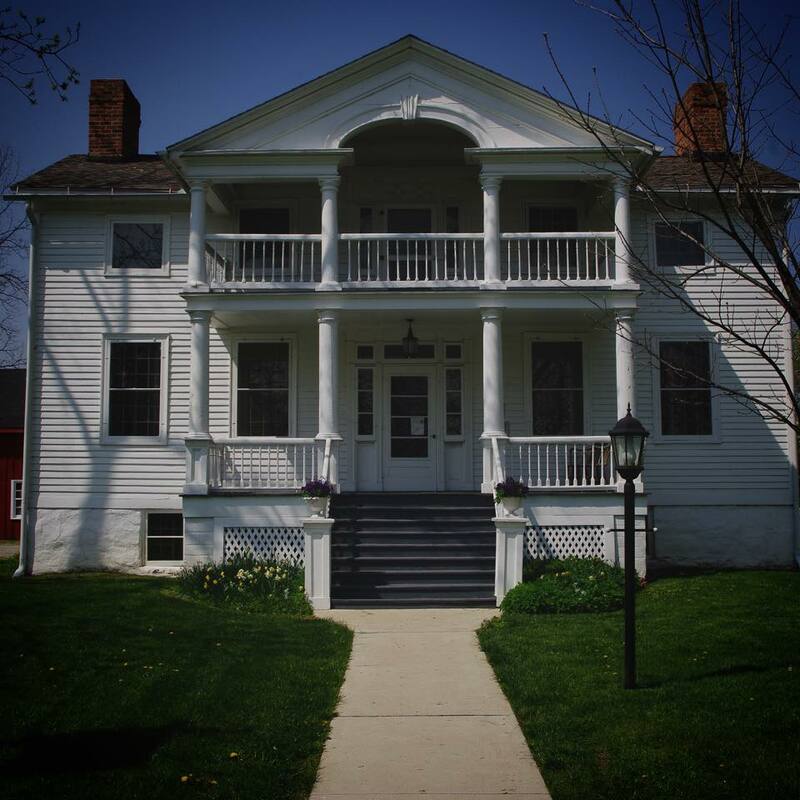 The Wolcott House of Maumee, OH was built along the Maumee River in 1830. It is now open to the public as a museum that displays what pioneer life was like. Ghostly hands are said to have touched visitors and workers on the shoulder or back. A mysterious figure can supposedly be seen from the corner of the eye, but if you turn to face it the apparition will disappear. Phantom footsteps are also commonly heard inside the house. The Collingwood Arts Center of Toledo, Ohio is a complex of several buildings that includes a former convent and college built in the 1870’s. 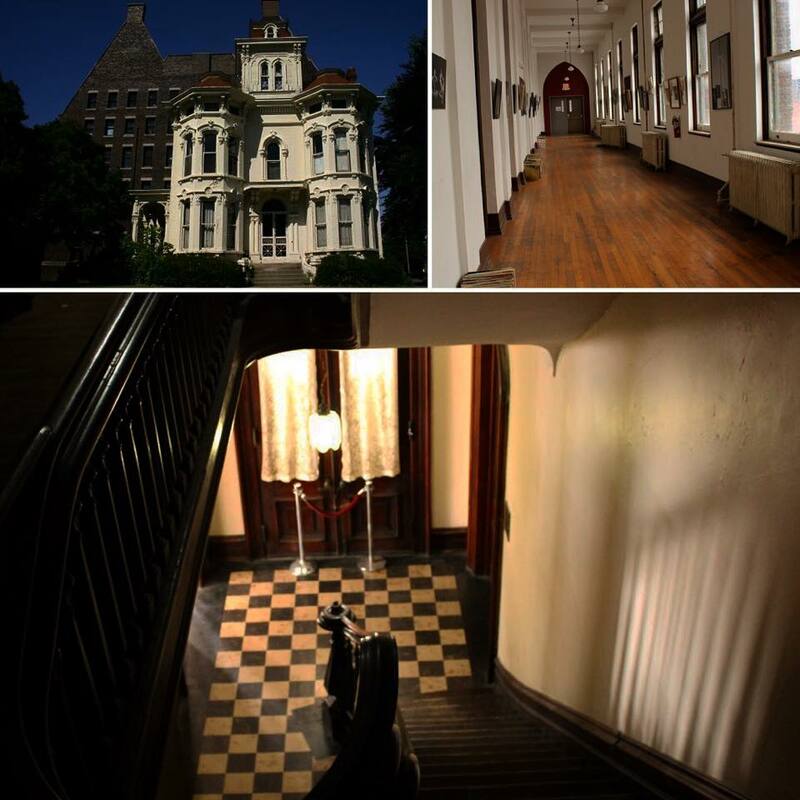 It supposedly has several ghosts inhabiting its rooms, stairways, attic, and auditorium. In the auditorium, a nun can be seen walking down the aisle from the balcony to a certain seat in the theater. Witnesses say they feel a very negative and angry vibe when in her presence. Friendlier spirits are said to haunt the attic, sewing and chattering away. The west hallway in the apartment building is supposedly haunted by the ghost of a jilted bride who committed suicide after being left at the alter. One male ghost is said to haunt one of the rooms in the basement dressed in all black. People claim him he made them feel scared. That he was somehow evil and angry. 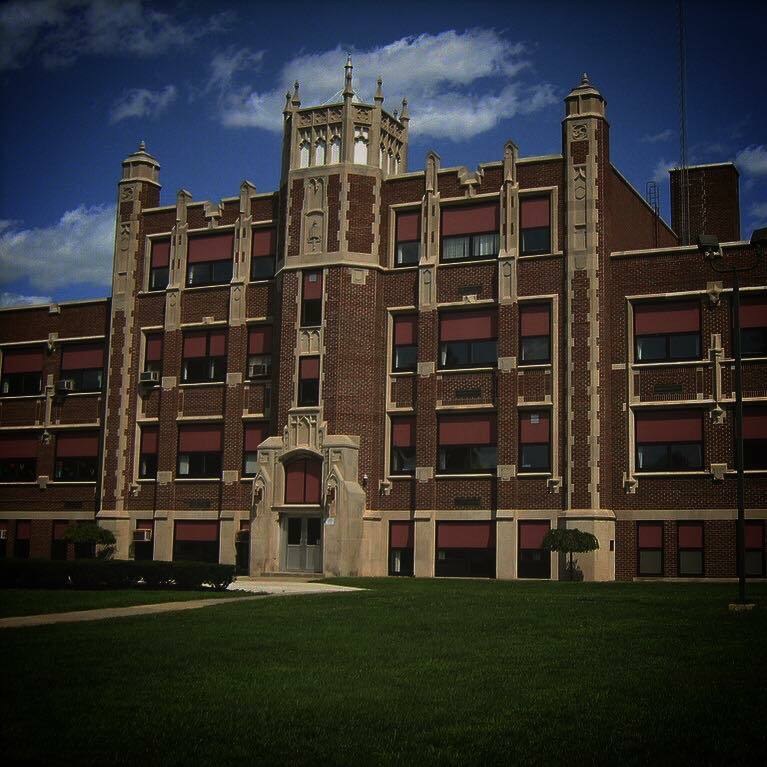 Jefferson Junior High School in Toledo has had claims that the sounds of a bell tolling can be heard in the middle of the night, but the bell was removed from the belfry years ago. The ghost of a janitor known as Oscar is said to watch every school play from the auditorium balcony. There is a seat reserved for him because he becomes angry whenever someone else sits in his seat and will cause something to go wrong with the play being performed. 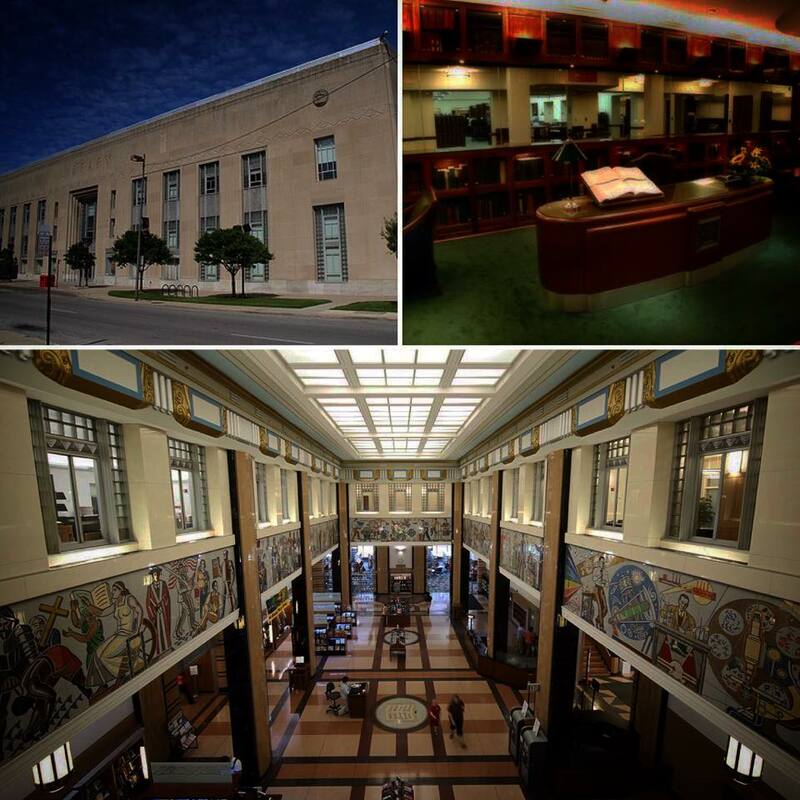 The main branch of the Lucas County Public Library in Toledo is said to be haunted by a female ghost. She walks around, haunting the third floor, which is closed to the public, especially after hours. Footsteps that sound like high heels on linoleum have been heard as well as cold spots felt by staff members, and one patron claims to have been shushed in the rare books room when he read a passage aloud. 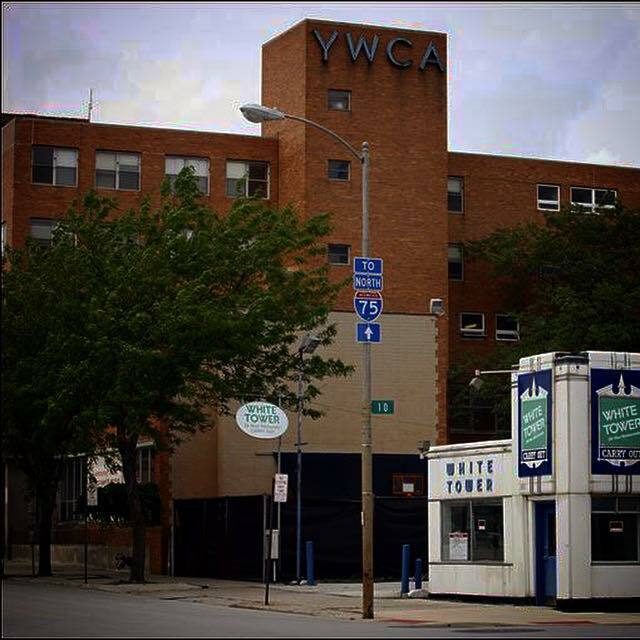 At Toledo’s YWCA a little boy reportedly fell from the third floor window in the late 1990’s and died. I could not find an article to prove this claim; I apologize. Witnesses have reported seeing the apparition of a little boy wandering around on the third floor. Others have claimed to hear an unexplained knocking sound on the third floor windows. 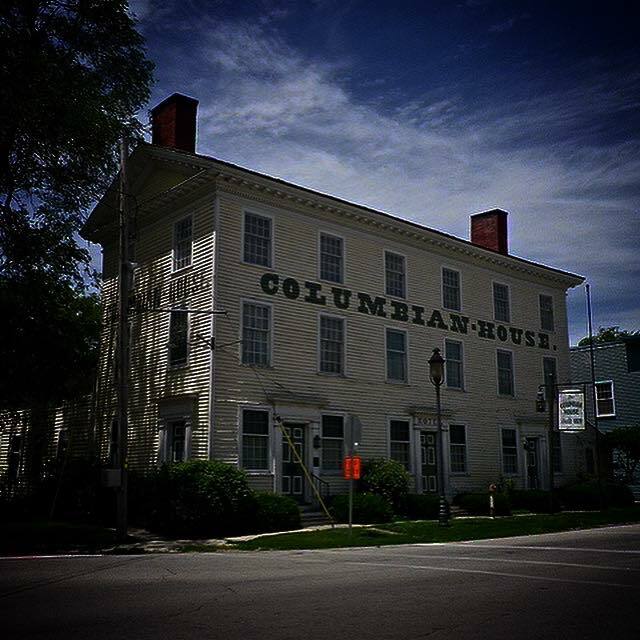 The Columbian House Restaurant in Waterville, OH was built in 1828. People often report, or complain, about feeling cold spots throughout the house and on the grounds. Phantom fiddle playing is often heard coming from the ballroom. A murder victim is said to haunt the second floor room and adjacent hallway where she died. There is a mischievous ghost named Jenny who often moves furniture in the upstairs attic, pinches people, and plays jokes on the staff. My little ghost hunter/history seeker and I did not experience anything out of the ordinary, but we did see some beautiful scenery. 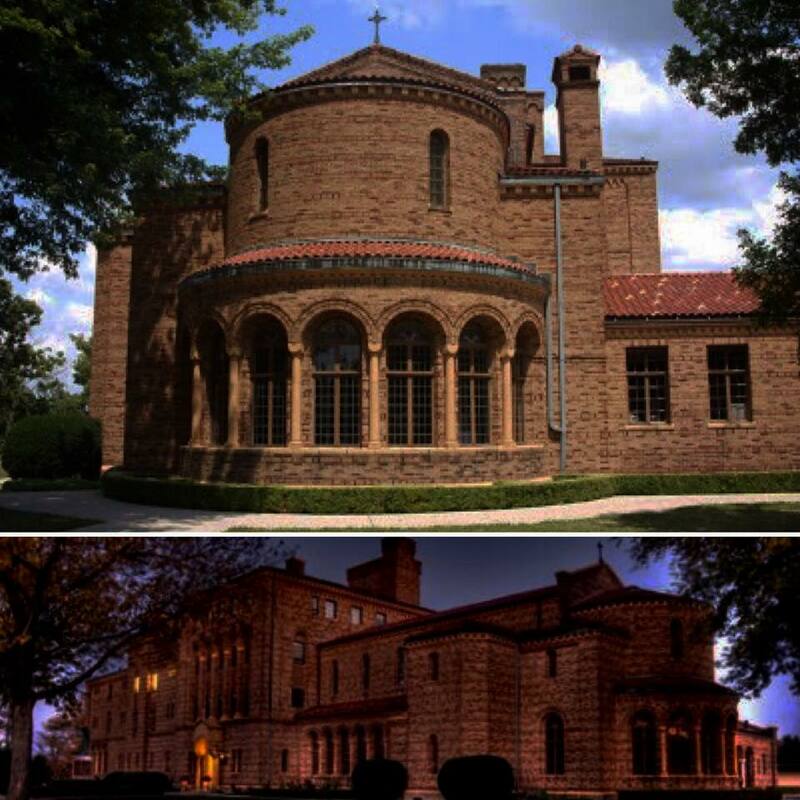 Perhaps if you are in the area, and you decide to swing by one of these haunts you will have better luck, or poorer luck depending on your perspective, and come face to face with one of Toledo’s ghosts.